Chickens are said to have descended from dinosaurs, and even a mass extinction couldn’t entirely wipe out those ancestral giants. 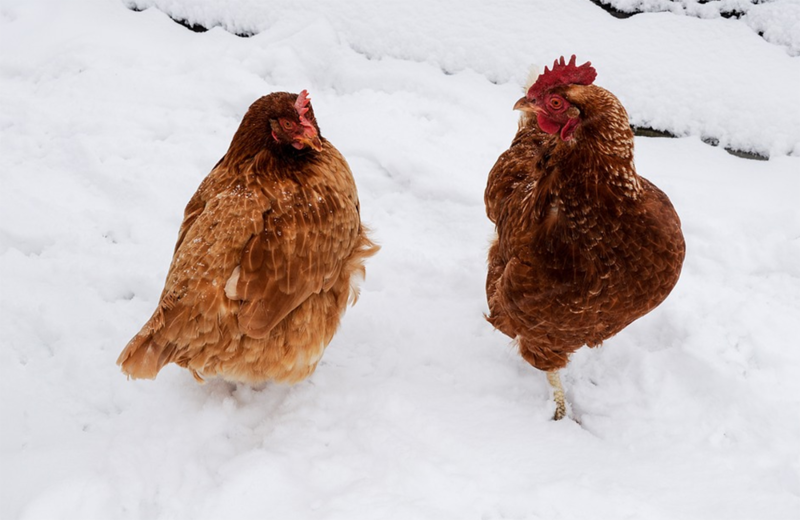 While chicken owners may fret about keeping their flock warm during winter, the fact is chickens have a long history of survival under harsh conditions. Across many centuries and countless cultures, raising chickens has been a huge part of feeding many different civilizations. Up until the early part of the 20th century, chickens were exclusively brought up in the absence of electricity. In many parts of the world, farms still operate sans power. Though temperature extremes may impact egg laying, birds can actually weather the cold fairly well even without a high-tech heat source. 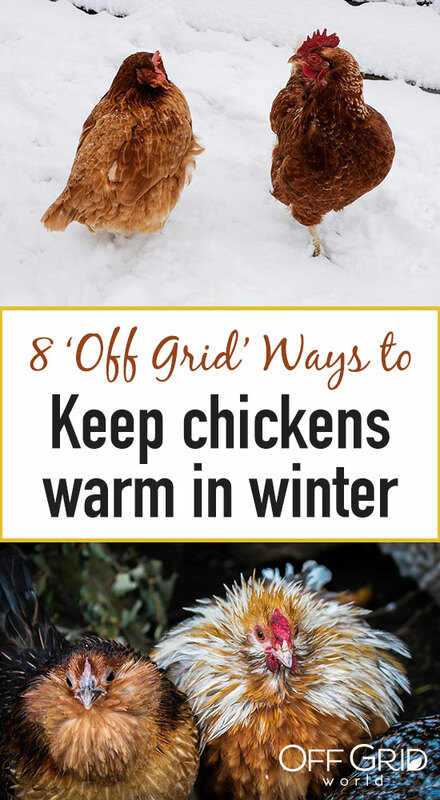 Ahead, we’ll discuss eight off grid ways to heat up your coop this winter. Start with the structure itself. The larger the area, the harder it will be to heat fully. During winter months, you may be able to get away with as little as three square feet per bird, especially if they will still have some outdoor access. At the very least, you may consider cordoning off a smaller space within the larger hen house. You can use materials you already have to create a temporary setup nestled around their nesting box. 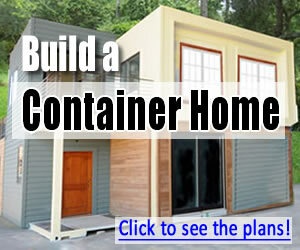 You may also consider making some modifications to the coop itself. 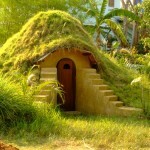 Since warm air rises, start with the roof. You can angle it at a slant, so one side is tall enough for you to tend the flock. 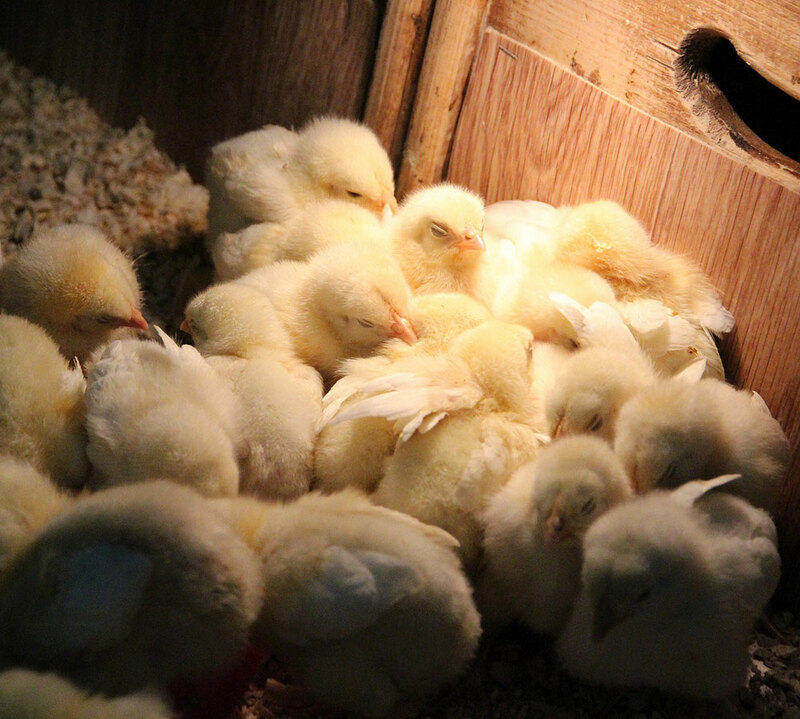 Position the shorter side over the roosting area to help keep beds warm at night. 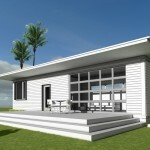 You can also temporarily adjust the roof inside, creating a dropped ceiling to hold heat down. While you’re busy making structural improvements, you may want to consider adding a skylight or south-facing window. Not only is ventilation critical for healthy hen houses, the natural light can quickly kick up temps. You can insulate the windows with plastic, professional window film, or even cellophane to block wind without blocking light. Next, you can focus on insulating the walls of your coop. There’s no shortage of natural and free or inexpensive ways to keep heat from escaping your coop. 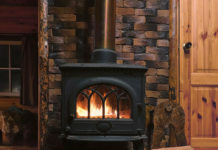 The important thing to remember is that blocking wind from the outside in can be just as important as keeping heat in. Whether you stack hay bails outside the walls of the coop or shovel snow against its exterior, both will help biting winds from penetrating the structure. Inside, everything from home improvement store-bought insulation to cardboard or old rugs and towels can be used to pad the walls of your coop. At night, you may also use them to block out windows. Just know there’s a chance of your chickens pecking whatever you tack up, so the more natural, the better. Water is a well-known insulator. Especially in large quantities, it holds heat for an extended period of time. 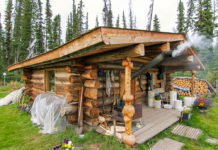 Five-gallon drums, barrels, jugs, and other water-resistant containers are ideal, but smaller water bottles wrapped in old socks will work, too. Fill with boiling water and place inside the coop using a dolly or wagon. 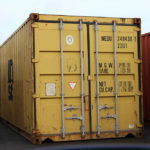 Just make sure the container can be secured with a lid to keep chickens protected. Another option is to use boiling water to heat bricks or rocks. You can place these under the floor to heat your chicken’s feet, or you can use them inside the nesting boxes at night. Just make sure to cover with fabric and place under straw to prevent burns. Not every electric heater requires an outlet. 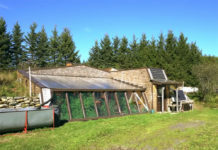 Solar chicken coop heaters are becoming popular for off the grid chicken rearing. They’re effective and mostly safe when kept away from flammable material like straw. Kerosene-powered egg incubators have been used on Amish farms for hundreds of years. Just make sure your coop is well ventilated enough to handle the output of fumes. Chickens burn more calories in winter trying to stay warm. If you can keep their metabolisms up, you’ll help create heat from the inside out. Feeding them hot foods like oatmeal or cooked potatoes is a good place to start. You can even include healthy fats from sources like coconut oil for omega 3s to keep them insulated. You may also consider adding a high-quality protein feed during the day or cracked corn for a nighttime energy boost. 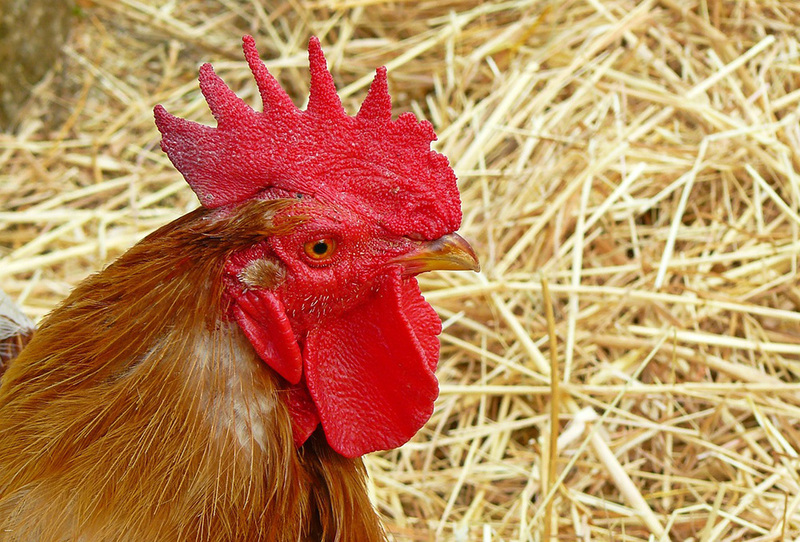 Chickens need water to help regulate their body temperature. The problem is, freezing temps can solidify water, leading to dehydration. Try placing one dish outside the coop in direct sunlight and another inside, preferably next to a heat source. You may also invest in an insulated water dish like a black rubber feed pan that may help it to stay liquid longer. Even chickens can get a little stir crazy being cooped up in winter (pun intended!) To help prevent pecking and other micro-aggressions while generating heat, trying hanging a cabbage at beak height or throwing out other hard veggies to give them an activity to funnel their excess energy. Truth is, winter isn’t only difficult for humans to handle. 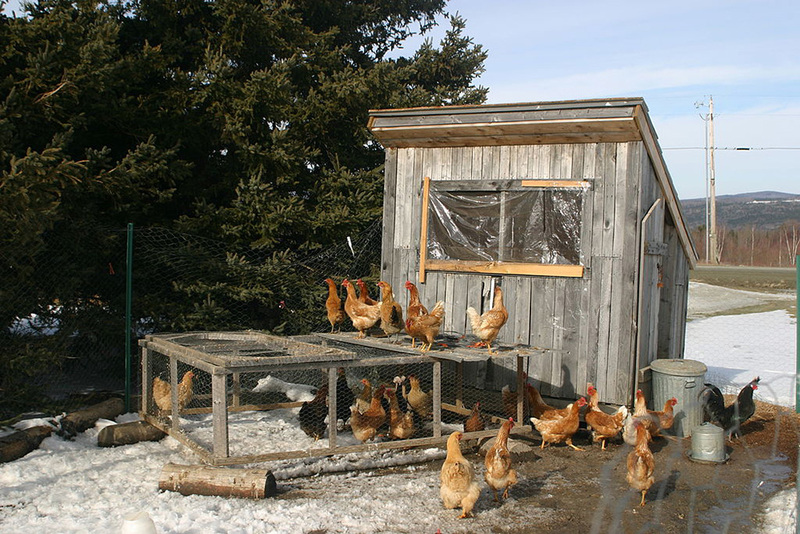 As durable as chickens have proved themselves to be over the centuries, helping heat their coops in creative ways will help keep them comfortable and healthy no matter how far the temperature plunges.